In my microservices book I talk about three styles of collaboration between microservices: Command, Query and Event based collaboration. On the book's forum I recently got a question that boils down to "if a microservice allows event-based collaboration, can all it's state always be recreated from those events?". I'm taking the liberty of re-framing this question as "if a microservice allows event-based collaboration, does it have to use Event Sourcing?" My answer is: No - you can, but you don't have to. I will try to explain why below. When we use a microservice architecture for a system, that system gets broken into lots - usually hundreds - of small narrowly focused services each of which handle one specific capability. In order to deliver a cohesive experience to the users using the applications built on top of all those microservices we have to make them collaborate - the alternative would be to expose the end user to that very fine grained break down into single capability services. That would make for an insane user experience. 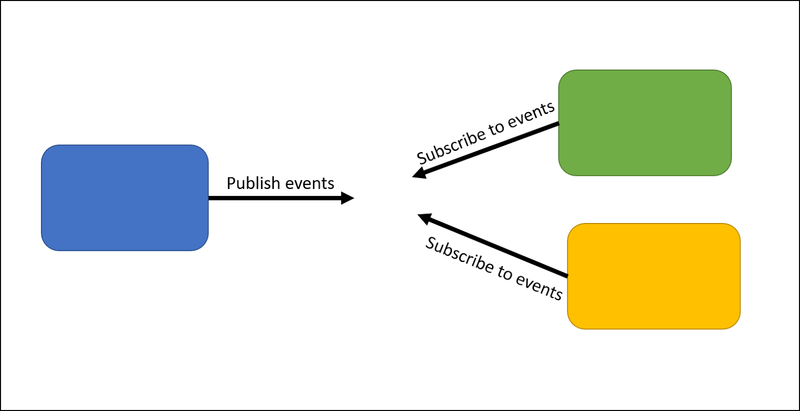 One of the ways microservices can collaborate is through events: When something significant happens in a microservice it can choose to publish an event that other microservices can then react to however they need/wish to. This is a powerful style of collaboration. Events allow for asynchronuous processing, for slow subscriberss to catch up with bursts at their own pace, for some microservices to be down for shorter periods and more. For these reasons event-based collaboration between microservices is quite often a better choice than command- or query-based collaboration. The point in this context, though, is more about what the events are. 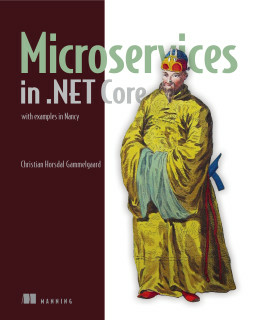 These events are things that are significant outside of the microservice publishing them. They are published in order to drive collaboration with other microserivces. The events published to other microservices in order to drive collaboration are events that can - and should - be published regardless of how the publishing microservice is implemented. Referring to the figure above: The blue microservice publishes events to drive collaboration with other microservices, like the green and yellow ones. That has nothing to do with the inner workings of the blue microservice. The events published to other microservices are external events. The blue microservice from the figure above can store its state however it wants. One of the ways it can chose to store its state is using Event Sourcing. 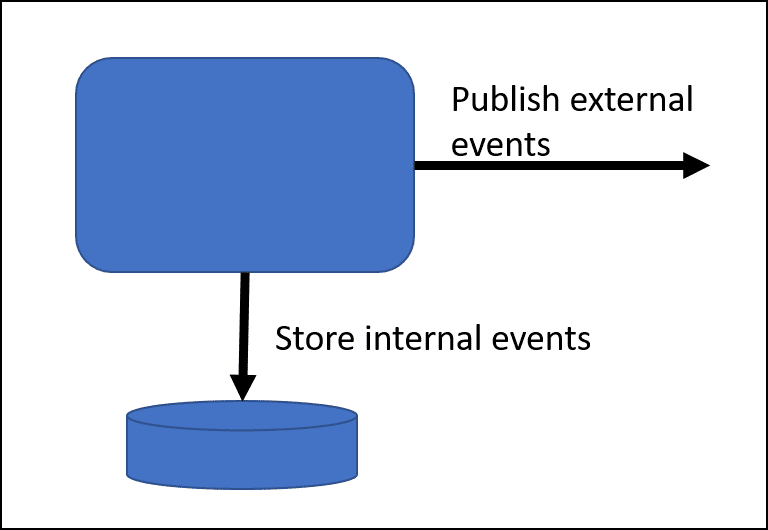 Using Event Sourcing introduces another set of events: Ones stored internally in the microservice. These events to do not drive collaboration with other microservices, but they capture every little state change in the blue microservice. External events drive collaboration with other microservices. These are also sometimes referred to as integration events. Internal events captures all state changes within the microservices and is the basis for event sourcing. 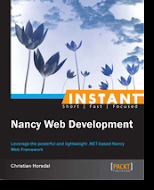 These are also sometimes referred to as domain events. Internal events are usually far more granular than external events. Internal events are also tightly coupled to the implementation details of the microservice, whereas external events are not. Having established the difference between internal and external events it should be clear that one does not imply the other. A microservice can publish external events without using Event Sourcing. Likewise a microservice can use Event Sourcing without publishing any external events.